The Crown XLS-1502 DriveCore 2 is a two channel power amplifier designed to send a clean balanced sound straight to your speakers. This is an update of the original DriveCore Series with new LCD screen which is three times larger making it more user-friendly. There’s also more DSP so you can have a higher number of signals transferred and a higher quality of audio processed to your speakers. 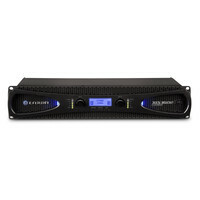 The Crown XLi800 is a stereo power amplifier featuring stereo parallel and bridge operating modes providing 300 Watts RMS per channel at 4 Ohms. 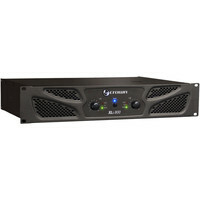 The Crown XLS-2502 DriveCore 2 Power Amplifier is a versatile and reliable stereo power amplifier delivering 775W per channel in a convenient 2U rackmount chassis. Offering a host of upgraded features including more flexible DSP band pass filtering selectable input sensitivity remote power trigger operation and sleek new styling the XLS-2502 is perfect for a wide range of live portable PA and installed sound applications. 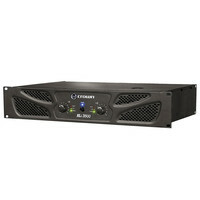 The Crown XLi1500 is a stereo power amplifier featuring stereo parallel and bridge operating modes providing 450 Watts RMS per channel at 4 Ohms. The Crown XLi2500 is a stereo power amplifier featuring stereo parallel and bridge operating modes providing 750 Watts RMS per channel at 4 Ohms. 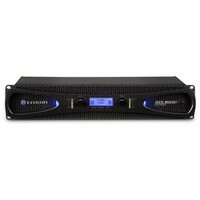 The Crown XLi3500 is a stereo power amplifier featuring stereo parallel and bridge operating modes providing 1350 Watts RMS per channel at 4 Ohms.